The homeschool classifieds page is your ultimate resource for finding homeschool curriculum and other homeschool helps. 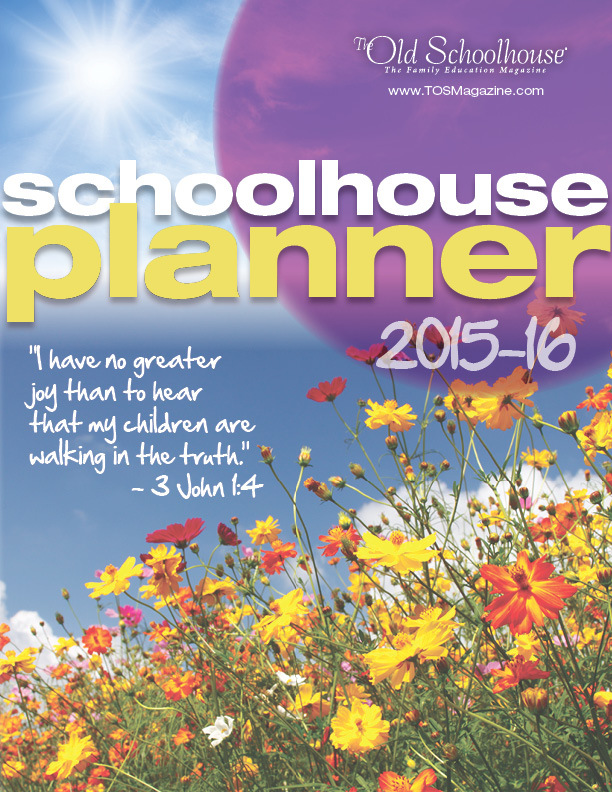 NOTE: The homeschool classifieds page is updated regularly with new homeschool resources. PIN or bookmark it to remember. These resources will help you get started homeschooling and succeed for as long as you choose to homeschool. The Homeschool Legal Defense Association provides legal resources for those who choose to homeschool including a guide to understanding the homeschool laws and requirements for your state. View a listing of homeschool requirements by state and attend one of several conventions each year to browse the extensive vendor hall and listen to encouraging homeschool experts. Attend a convention and attend the special Getting Started Homeschooling sessions. Then, browse the extensive vendor hall for additional curriculum and encouraging resources. Find local support as well as guidelines for your state. Click to “browse books” and find an extensive listing of complete school books available online. Find interactive math lessons for Kindergarten through Eighth grade level. Find spelling and vocabulary lists for grades 1 through 8. A free online homeschool curriculum, based on the Charlotte Mason style, with a corresponding support group. Browse music lesson plans, sheet music, worksheets, games, and listening guides for grades kindergarten through 12. Not the easiest website to navigate but it is a treasure trove with complete math textbooks and practice pages available to print. Free study guides for literature, units for combining math with literature, and much more. An resource for printable helps to supplement various studies. Free practice quizzes for math and science. Free college level online courses based in the humanities, business, and sciences. Offers a list of free resources and a new freebie each week but also has online classes and a variety of curriculum. Step-by-step lesson plans using free resources for pre-K through high school. Printable worksheets and activities for every subject and grade level. Upgrade your membership to download complete workbooks. Free educational resources for middle school through college. Offers a list of links to various free worksheets which you can use to supplement your lessons. An amazing resource for free lapbooks and unit studies. Links to a few free unit lessons, some free printable worksheets and other helpful items as you homeschool. Order free books and DVDs to supplement your science studies. Loads of worksheets for free, grouped by grade and subject. Paid options also available. A huge library of video tutorials for almost every subject and every age. Practice a foreign language with free lessons. A long list of languages are available including German, Spanish, Italian, and French. Providing a complete homeschool curriculum or supplemental studies, they have “links into ready-to-teach learning units in science, history, math, language arts, and reading and phonics…” divided into 36 weeks of learning units. Thousands of math worksheets categorized by the function. Designed as a Charlotte Mason curriculum for Catholics, the website includes sample schedules, links to additional resources, and more for pre-K through high school. A listing of downloadable workbooks by grade for reading, spelling, and grammar. Lessons divided by subject and exam preparation helps for high school students. Find a listing of free books and other resources which you can use for curriculum. A tremendous collection of free learning resources, including a list of free online courses, textbooks, and more. Offers a ton of resources by age and grade including printables and quizzes. Unit studies, reading comprehension worksheets, and more designed to help teach children language arts through literature. A huge collection of phonics worksheets to help you teach your child to read. They have over 1200 interactive, standards-based resources in English language arts, mathematics, science, social studies, and Spanish for upper grades through high school. Find free science lessons, experiments, games and more. Discover science projects and math games as well as articles and additional learning resources. Free printables, games, and educational help are available as well as paid options. Choose a theme and follow a unit study with these easy resources. Looking for science fair projects, supplies or ideas? They also have a monthly subscription service that delivers amazing hands-on science to your door. Free lessons and resources for almost every subject and grade, including games and smart board lessons. An online text for algebra study. Find a course of study by grade to keep your child on pace. Lesson plans and resources for learning history, searchable by timeline, reading level, etc. Because I believe that homeschool curriculum is a worthy investment, here is a list of places where you can purchase homeschool curriculum. Visit Tabitha Philen (Meet Penny)’s profile on Pinterest. Affording the homeschool lifestyle is easier when you can find a great deal on what you need. I will often browse online bookstores and then take the titles to search at our local library. Keeping the younger children occupied with educational toys can help you spend more time focused on educating your older children. These companies provide homeschoolers with the opportunity to subscribe and receive a themed box of surprises each month. Some offer more educational value than others but all are super-fun to receive and make excellent gifts. NOTE: While I try to only recommend wholesome, family-friendly magazines, sometimes magazines will print materials opposed to what I personally believe. I cannot be held accountable for the complete contents of any magazine. Appropriate for girls over 8 years old, American Girl magazine includes craft ideas, puzzles, contests, advice, games, and other fun activities and articles in each issue. I personally subscribe to Family Fun, designed for parents of children ages 3 to 12, because each magazine is filled with creative ideas for incorporating hands-on fun through creating, cooking, and learning. KIWI introduces families to living a natural and organic lifestyle on an everyday basis. For ages 7-18, Boys Life attempts to focus on what young guys like, bringing adventure, fun and excitement in every issue with a balance of fiction and non-fiction, great jokes, scouting tips and examples of good citizenship. Relatively new, Fun For Kidz is for boys and girls ages 5-13 years and contains no advertising, no violence and no teen material. Each theme-based issue includes projects to make, build, draw, cook and create. Created to challenge young girls to enjoy childhood and not grow up too quickly, Hopscotch is a wholesome magazine for girls age 8-14with each issue featuring exciting stories, riddles, poetry, profiles and interviews, crafts, puzzles and a question and answer column for girls without material about boyfriends, makeup, fashion, fads, etc. Since 1938, Jack & Jill has provided the best stories and educational activities for their children ages 6-12 through stories, articles, crafts, games, health and fitness, poetry, fiction, jokes, puzzles, easy recipes and true life, inspiring stories about real people. Ranger Rick / Ranger Rick Jr.
Ranger Rick (ages 7-12) and Ranger Rick Jr. (ages 3-7) are packed with amazing animal facts and stunning wildlife photos. Created for young readers, Zoobooks is delivered ten times a year and is packed with educational information about the animals your children love. Some of these apps and online games are free while others might charge a small fee. This homeschool lifestyle can be tough. You need support. See how we decided to homeschool our children. Feeling sick? Get tips for homeschooling when mom is sick. Find ways to socialize your homeschooled child. Stress less over your homeschool schedule and enjoy life more. Homeschool curriculum reviews and recommendations can help you find what fits your family. How does a homeschooling, work from home mom schedule her busy day? Organize your homeschool curriculum shopping with free printables. If your family does not agree with homeschooling, let me help choose your reactions. You really can homeschool with younger children in your house. If you are ready to quit, check how to avoid homeschool burnout. Ready for college? Check out the Homeschoolers Guide to Getting Into College.